This is a reminder that the PWA Annual General Meeting 2016/17 will be taking place this Saturday, 22nd October 2016. 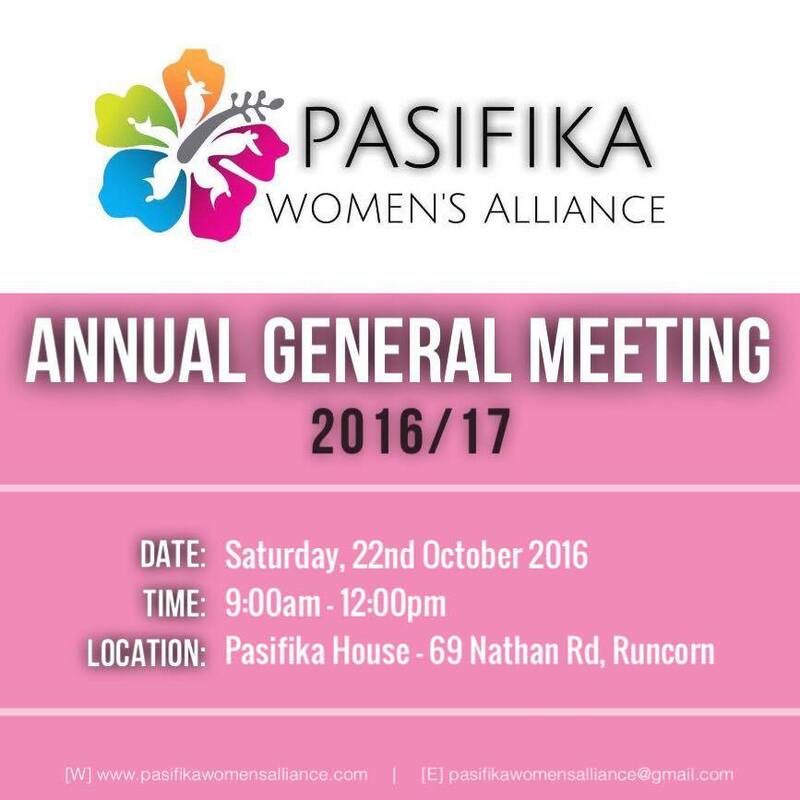 The Pasifika Women’s Alliance invites all members to its 2016/17 Annual General Meeting on Saturday, 22nd October 2016. It is at this meeting that the management committee for 2017 will be elected. In order to be eligible to nominate for a position or place your vote; you must be a current financial (paid) member. Membership can be paid/ renewed prior to and on the day of the AGM. Light refreshments and a space for fellowship after the meeting will be provided. We ask that you extend this invitation to all Pasifika sisters currently residing in Brisbane, Australia. If you would like to nominate yourself or an individual for one of the positions above please fill out the form via the link below and return it via email to: pasifikawomensalliance@gmail.com ASAP. If you are unable to attend the Annual General Meeting and would like for your vote to be counted – please fill out the proxy form via the link below and return it via email to: pasifikawomensalliance@gmail.com ASAP. Next Post Become a PWA member!